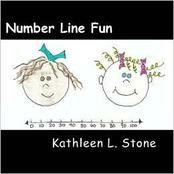 determine if the number line is counting by ones, twos, fives, tens, etc. write numbers to show the value of each digit (expanded notation) … i.e. 57 = 50 + 7 (this skill will help when they eventually use the number line to solve addition/subtraction problems).